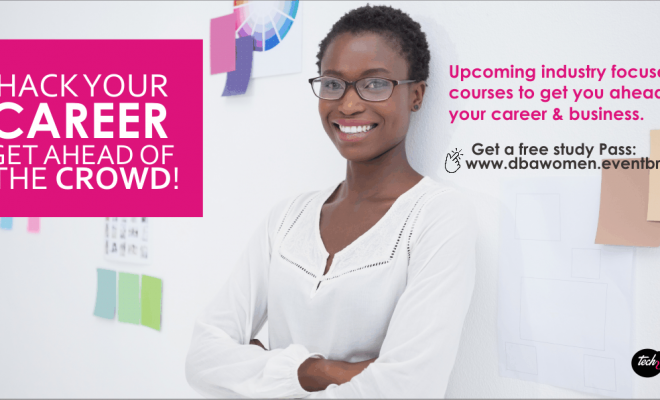 Digital Business Academy for Women: Hack your career, stay ahead! The Digital Business Academy empowers women to solve key requirements for business success: Education, Networks, Mentoring, Access to finance, Access to markets. Most importantly the academy retools them with the business and tech skills needed to stay competitive in the rapidly evolving modern workplace. 50% of SMES in Africa are mostly owned by women. However just a little percent are able to leverage Technology to expand their business ventures.Most women don’t have access to the tools and know-how of Technology and have overtime lost interest in its relevance to what they do. Digital is now embedded in all forms of business/career choice and hence the need to empower women with digital tools.To build a relevant business that will positively impact Africa and the world, women need to learn how to position their businesses for the future, taking advantage of modern tools that will give a new direction to the African economy. This is a pre-class and usually conducted a month to the main courses that will start in July 2016.You get your free study pass valid for two training series when you register before 27th May 2016. Limited free study cards available – first come first serve basis. Registration closes on May 27, 2016. – Digital Marketing Sandwich: Maximize Facebook, Youtube, Twitter, LinkedIn & Instagram for Your Business, Create a winning digital strategy for your business. – Financing your Startup/Project: Financial strategy, Create winning impressions on Angels, VCs. – TechPlayBook Series: Easy steps to create your own website in 15 mins. – Aminu Kajunju: President and CEO of the Africa-America Institute (AAI), a U.S. based non-profit organization dedicated to strengthening human capacity. – Encourage ethical business practice e.g tax, workplace ethics for women, gender balance. ← Previous Story Female Entrepreneurs get in Here! She Leads Africa has good news for You.